TO WORK AT HAIGO ? Haigo is above all a way to build the company where we want to work. To train ourselves on the topic that interest us is our main driving force at work. Because we know that all advantages in the world can’t replace excellent basics. Life beside of work is what makes us so special and interesting, let’s not forget that. The principle of Haigo is that we all have a voice to take part in the company strategy or in our way of working. We get organized to spend at least one day in the week together, and it’s Thursday. We progress on our internal projects, we do User Intelligence meetings, organize a Design Stream, Lunch&Learn or just team lunchs, and even Meetups on topics that matter to us. We devote 20% of our working time to products or services that would change of way of working or living. Among them : a future of work laboratory, a stool to modulate space, an ice breaking card game. Caroline and Lola built a project at Haigo : give the voice to the young people to understand their expectations regarding to the tomorrow’s world of work and make it hear to companies that want to be ready to welcome them. Whether you are a Program Manager that wants to evolve to Design or the contrary, you’ll be more than encouraged and helped ! As we are lucky to have very diversified profiles and missions, we take this opportunity to share and train each others. 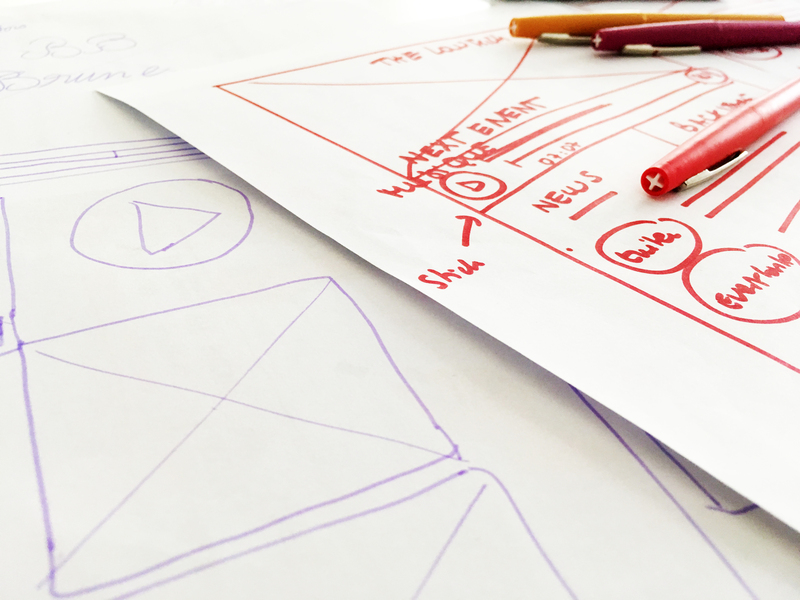 In that goal, we have User Intelligence meeting, Drawing Time or Design Stream every week. On the top of the Personal Training Account, Haigo adds 500€ each year to allow us to take the training of our choice (Scrum Alliance, Skill Share, Coursera…). Then we share these new skills with our colleagues, clients or partners. TALKS, MEETUPS… AND EVEN STUDY TRIPS ! You want to attend a talk or an event related to our activity ? Just check that you have free time regarding to your projects and we’ll buy you the ticket ! Haigo can even sponsor a trip if you’d like to lead a study on an advanced topic. There’s only one condition : articles or meetup when you’re back to share your experience and knowledge. Adrien, Designer at Haigo set up a Drawing Time to answer to the needs of the team : every week, he gives a design challenge to the entire team. 1h, paper and markers to present the italian restaurant’s website of your dreams, the next cryptocurrency application or the new website of Nicolas’ rockband ! 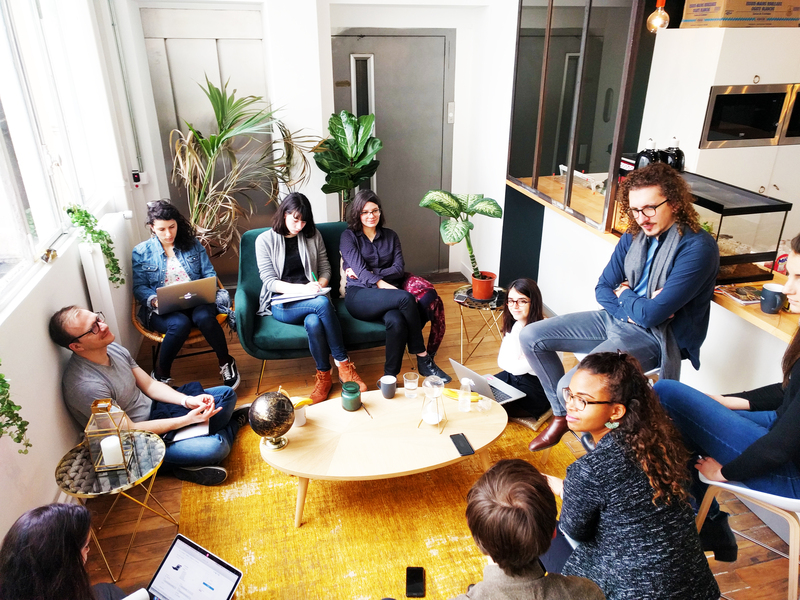 We meet every Thursday to talk about User Intelligence : our best practices in user research and user tests, our current problems, debates about last articles … Some quality time to to make live and progress our skills ! We know that in a company, even if you have the best projects and colleagues, it can be complicated if you don’t respect some basics. It neither depends on your years of experience nor on your diploma. Your salary is rather indexed on your skills. Haigo adds to that a collective bonus based on its performances and an individual bonus depending on what has been decided during Haigo days. Finally, there is bonuses too for cooptation and business contribution ! A complementary health insurance paid at 70% to heal properly. 8€ meal tickets to lunch in the neighborhood. And 100% of your annual transportation pass refunded instead of 50% (why do things halfway when we can make you save 770€ each year) to go accross Paris and around. If you think you will work better from home, from your favourite coworking, or from another city for few days, go ! While everything is well organized with your team, teleworking is widely encouraged at Haigo ! Run, climb, cultivate yourself, go out to come back full of ideas ! There’s more than work in life. Haigonauts got that well : if you come to see us, you’ll meet drummers, guitarists, illustrators, boxers, climbers, carpenters, sculptors, podcasters, yoggis, philosophers, dancers, music lovers, …That’s another reason why we love to work at Haigo ! We can benefit up to 300€ each year to do cultural activities : enough for a subscription to the Comédie Française, the Philarmonie de Paris, an unlimited movie theater subscription or music class. Because some of us are passionate, and other need to spend their energy in the middle of the week, we have an annual 250€ bonus to practice sport. MAKE US DISCOVER YOUR PASSION ! Nicolas invites us to his concerts, Caroline has initiated more than one to climbing and Chloé organize knitting workshops in Haigo Days. We can't wait to know what you'll make us discover ! Some companies won't let you take holidays in advance, or ask you to take it on precise periods. That's harsh. At Haigo, we prefer that you take your holidays when you need it.